Status Update as of February 18, 2016: I have since found and reviewed additional domains and products being marketing in the same way under various names and different owner names. 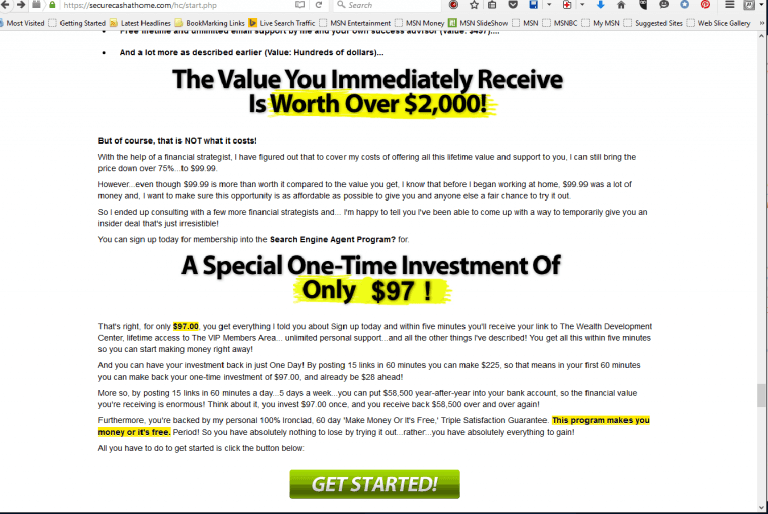 Please also visit: Work At Home Institute $3200 a Week Scam and WAHedu.com Review. Status Update as of March 11, 2016: I have now found yet another name for this same product. It is now using “Social Media Profit System.” Once you click on that link, you’re forwarded to “Fast Cash From Home,” and at the bottom of that page, the Disclosure talks about the “Earn At Home Club Membership.” Now, however, they are asking for your email address. If you view the video, they refer to it as the “Home Cash System.” The good news is that they are only asking for $4.97 – though, I declined. And, I’m sure there are “Upsells” after they get a hold of your credit card. Also, creating an account with Clickbank is actually free. I know this because I already have an account there, but no, I won’t spam social media sites. That’s a good way to get you banned. There are better ways, legitimate ways to earn money online – please keep reading. I thought that was rather odd, so I continued to do further research. I came across another article that did provide an author’s name. This article appeared on USAToday, and was written by Michael Pearson. This article also refers to a “work at home” opportunity, only this time, Trump is, apparently, “thanking Susan Thompson for showing Americans how easy it is to create massive income for their families.” The specific product is called “Secure Cash At Home” by Jennifer Larson, and this article even shares the Tweet seemingly from Mr. Trump himself complete with his picture. Again, this is odd. Why would Mr. Trump specifically mention any one product? 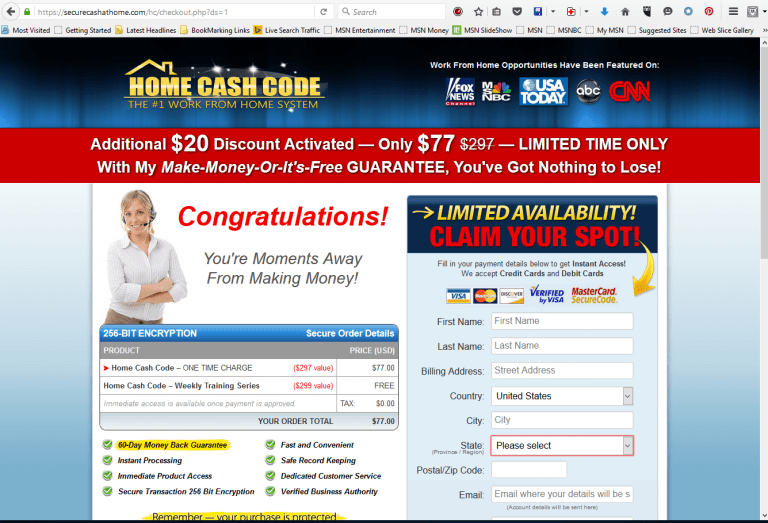 Ok, so I looked up “Home Cash Code,” on Google, and I found various links. 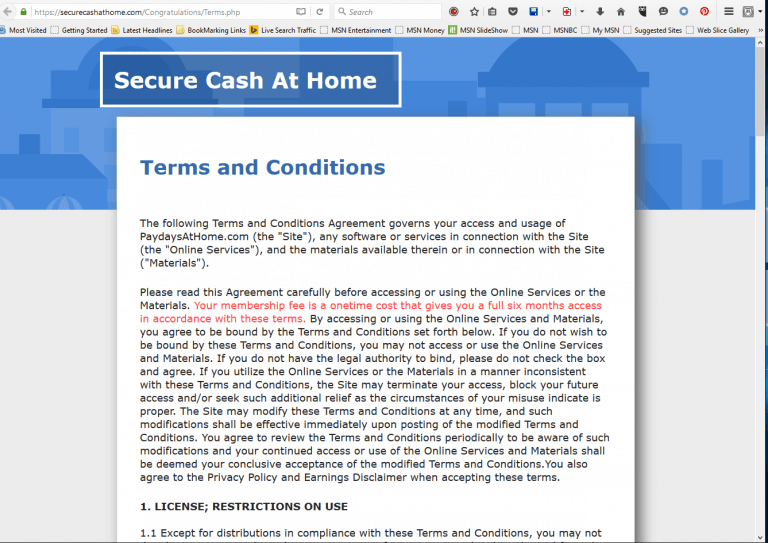 I specifically chose “Home Cash Code” which took me to another domain: Secure Cash At Home.com. 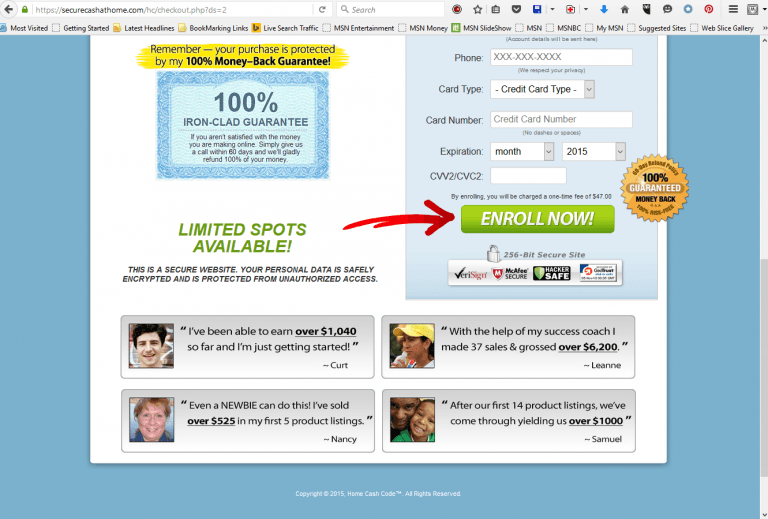 I began clicking to read the sales page and begin learning about this “new” program. 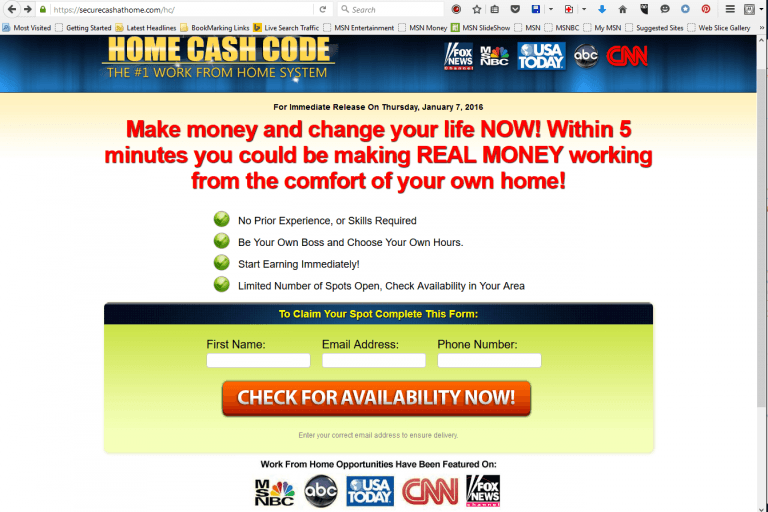 This page states the Work from Home Opportunity has been featured on Fox News Channel, MSNBC, ABC, USA Today, CNN. So, the inference is that this is a legitimate work at home opportunity because of the many channels this has appeared on. This page has a video and longer page of info. and a story about a single mom who was struggling financially, etc. 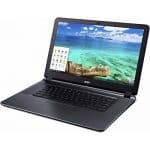 The product is initially offered for $97.00. Reading further, the explanation is that a “major executive officer of a major corporation” (both of which are not named) asked her to create a “certified, comprehensive program” to tell people about this opportunity. And, now that she has, she is making it available to a select few in each city across America. Again, the initial price is $97.00, and there are only limited spots available. Step 1) Log in and copy your unique linking code. At this point, the article shows well-known logos: The GAP, Home Depot, HP Invent, Oakley, Netflix, and Amazon. Step 3) You fill out a few details and submit to create a site. At this point, the article shows what looks to be a Web 2.0 button “Build My Website” from a site such as Tumblr, or Weebly, etc. More pictures are inserted on the page. They are: a Large Home, a Yacht, and, I believe the car is a Lamborghini – impressive! Further down, this writer even claims that “you can post links offline too!” This would be totally amazing seeing that you do need a computer to “post links.” The writer then sums it up, and plays on the needs and wants of everyday people who are looking for a legitimate way to earn money online and from home. As I begin to review and report products for people on this blog, I am learning much about scammers, and how they likely get away with it. Apparently, the scammers do this often: They create a site, and when bloggers do “reviews” on the product, the scammers eventually catch on that there “legitimate reviews” out there, and they switch to yet another domain name and new key words. So, it’s kind of like “Whack a Mole.” Just when you think you’ve identified and cornered them, they change names, domains, create a lot of bogus testimonials, even submit articles to media outlets, and then, do it again. Better yet, when clicking on their “Disclaimer” Pages and Terms, I tripped over something else they didn’t quite tell the reader in the initial offer. Apparently, the fee being paid is a “membership fee,” and the “License” is only good to access their site for six months. This License and limited membership fee was not explained on the home page at all. So, in summary, I began trying to get info on the Home Cash Code product because my mom saw an article on “Fox” which quoted Mr. Trump. But, after reading it, and looking up more information, I realize it’s talking about affiliate marketing without using the correct terminology. Instead, it’s using total deception. In short, these people are playing on the needs and wants of those who may be searching for a legitimate way to make money online – at home. 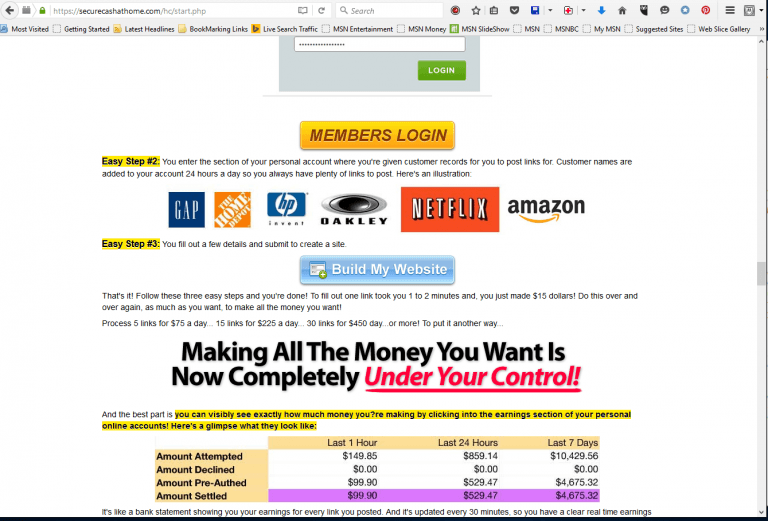 And, while those opportunities do exist, these types of people who put out sites like this are the very people who make legitimate affiliate and online marketers look bad – while deceiving many out of their hard-earned money. There is nothing “Pro” about this product. They are using total deception, and they are not telling the reader what is really going on. On one hand, they lead the reader to believe there is a “job” or “immediate position of your choice as a Search Engine Agent” waiting where the reader will earn $15.00 for every link placed, then, they mention that the user will be creating sites and that the user is “in total control” of how much money he or she can make. So, which is it? Is there an actual “job” or “position” that pays $15 per link, or will the user be creating sites, placing affiliate links and waiting for affiliate commissions? If this is an actual job or position, why isn’t the company just “hiring?” Why isn’t the company name not listed anywhere? Shouldn’t it be? Isn’t that a fair request? Please take this much from this review: I’ve learned enough about html code, writing, blogging, Search Engine Optimization, back-links, and affiliate marketing to know that they are flat out deceiving people after I read that page. Placing (affiliate) links, which they don’t even properly name because of the risk that the reader may look it up, will not result in traffic to your mini-sites that only have links on them. Even if someone did trip over the mini-sites, the chances they’d purchase something on a site that has no content on it is remote. Further, it takes time to build mini-sites or a blog. When done right, and web-sites begin to garner traffic, then income may be generated. But, this notion of someone getting paid $15.00 per link from placing affiliate links on sites that were just created and may not even be indexed, never mind ranking well in the search engines, is just wrong. It’s deceiving. Don’t waste your money. Although there are legitimate work at home opportunities, and there are successful affiliate and internet marketers, the claims being made are deceiving – plain and simple. If you’re reading this review, and you begin to have even an inkling of doubt that this product is legitimate, then, I’ve done my job! In short, please DO NOT Purchase This Product / License. At the very least, do more research on all the domains found, and you’ll find I’m right. Obviously, this product is geared toward newbies/beginners who are trying to learn about the possibilities available to people who wish to work at home. These people are less likely to know about affiliate marketing, blogging, back-linking and building mini-sites, etc., and they may not know of some of the ways to prevent being scammed. The people who are selling it. Even if they do honor a “money back guarantee,” the statistics are in favor of the seller. There is only a small percentage of people who would pursue a refund if they were not satisfied with a product. The majority do not, and the sellers know that. I declined to purchase this product for the sake of this review. Again, I know enough about affiliate and internet marketing now to read in between the lines, and to understand what it is they are trying to do. Consequently, I can not list any training or tools provided with their product. Citing, again, the fact that I did not purchase this product for the sake of this review, I do not know if there is any support offered or whether a purchaser can contact the owner directly. Seeing that they use different domain names, deceit, and different names claiming to be “experts,” I would expect any communication with the site’s owners would be a total waste of time. Their likely response would be neither sincere nor genuine. Initially offered at $97.00, then $77.00, then $47.00. Again, knowing what I know about writing a blog, and building a blog the right way with relevant and quality content, I know this is an effort to deceive the newbie beginner. 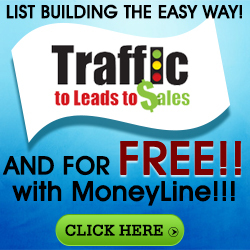 There is no “quick” method to receive $15.00 per link from companies such as those listed. The page and disclaimers do state that success depends on the individual. While that is true, the claims being made on the main home page are deceptive – especially to a beginner. I’ve also noticed something else when it comes to these type of sites. I am noticing that they seem to fill up the Search Engine Pages with other supporting articles, videos, and deceptive articles submitted to media channels who go on to publish these articles as being factual. The fact that the news channels name specific products is amazing, but true. The initial article fooled my own mother! As mentioned, I’ve learned enough to know this is a deceptive scam – plain and simple. They are not truthfully telling you anything about affiliate links, and how you need patience when building a site. Companies do not pay you for links you’ve only just placed on sites. Companies that do have affiliate programs (may) pay you when your link generates a sale, and that will only occur when and if your site has generated traffic, interest from readers, and a convenience provided to your readers. I’ve written a few articles myself on “How to Build a Website for Beginners” and other articles reviewing Amazon, and Wealthy Affiliate (WA), both of which are among the legitimate ways to earn money at home and online. Further, I am a member of Wealthy Affiliate, and I find WA to be incredibly educational and supportive for those who truly wish to learn how to build a website and how to earn money working from home. If you wish to really learn legitimate ways to earn money working from home, feel free to read any of my articles. You may also learn more by going directly to Wealthy Affiliate and reading some of the ongoing WA Testimonials submitted by many of our (very real) members. VERDICT: NOT LEGIT – DO NOT BUY. Have you found a link between Trump and this company ? I wonder if he was paid to say something or he is the owner of yet another scam ? I find very interested your program. This is a way out by helping people to go through these tough financial situations that many are living. I really would like to thank you for this great opportunity. 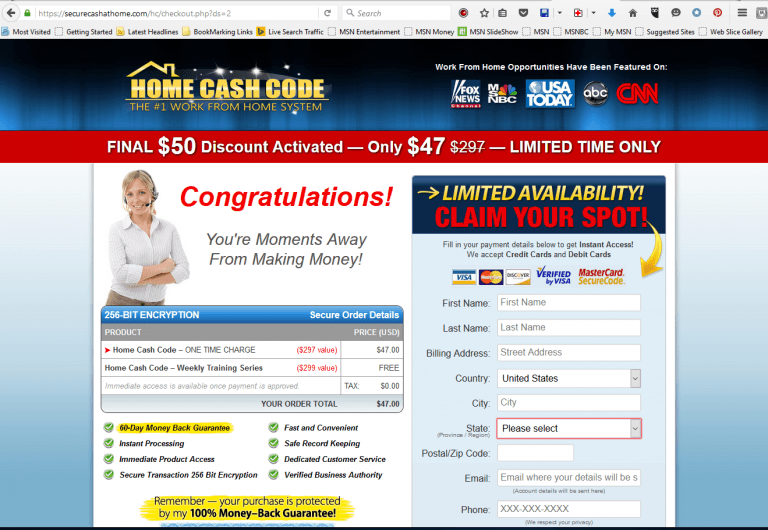 Once again, I am NOT RECOMMENDING the “Home Cash Code – Secure Cash At Home – Pay Days At Home” product above. What I do recommend is Wealthy Affiliate. If you truly wish to learn how to build a blog, or a web-site, and learn about all the various ways to earn money online, this the best education out there for the money! I am looking forward to join the company, and working from home. After reading all the testimonies, I really feel great hopes in making money without stress. Thank you!!! I sure hope you are not referring to “Home Cash Code” product that I wrote about in this post. This is the product that I am NOT RECOMMENDING. Thank you for your explanation and information. This has been a blessing. Thank you for your visit, your comment, and most of all, your blessings! 🙂 Although there are a few of us who try to educate and warn others, I really must tell you, and my other readers, that it is getting more and more difficult to know everything that is going on and how people are being taken to the cleaners, etc. There are so many opportunities now, and more and more are being introduced just about every day. I will be writing about this topic soon, so please check back! Once again, Thank You! Honestly… This is ridiculous! Another one of my readers just told me the same thing and that they are now using this new name along with Buffet’s name. I will have to update the info I have and write another post…. Thank you for your comment and taking the time to share! I appreciate it! How do I build these websites? Well, there are quite a few articles that I have written, but you may try the “How to Build a Website For Beginners” post first. You may also just go to the menu above, and click around to see what post may interest you. I’m wondering what type of website you are interested in building? Please let me know, and I will help you out! You may also contact me directly on my WA Profile Page. I look forward to hearing from you! .US domains cannot be registered as private. Maybe registrar companies can ban them? “These statements have not been evaluated or endorsed by Donald Trump or the Trump companies. The use of Fox News, FoxNews.com and any and all trademarks belonging to or relating to Fox News are used for entertainment purposes only. This information was not written, reviewed or approved by any employee or representative of Fox News or any of its affiliates. Fox News does not endorse or approve any of the comments made in this advertorial. So, seeing that they do have this disclosure right on the front page, I do think they are likely in “compliance” and, therefore, won’t have to revise or take the site down. So, again, all I can do is point things out to my readers… Yes, it’s frustrating, but we do practice “let the buyer beware.” So, even after I do share this site, I really don’t think anything will happen as he seems like he’s within the legal disclosure requirement. But, thank you just the same! I appreciate the help! Thank you for your information. I decided to check out the “home cash code” and found your blog. Thank you! I am interested if i can make money online but how to figure out if it’s a scam or not? Thank you for stopping by! And, you’re entirely welcome! Re: what are “scams” and what are not “scams,” this undertaking is actually not as easy as it may seem. There are so many products out there now that it is very difficult to keep up. In addition, I’d go broke trying to buy each just to report back here on my blog. Then, I’m having another problem with other blog owners who are making claims (both good or bad) without really understanding the product themselves either because they didn’t buy it – themselves, or they are getting paid for writing a “review.” So, yes, I’m having ethical issues going on in my head. …Then, there’s also the other problem that this is all “subjective” anyway. One person may really like a program, while another person may not. This is bothering me.. And, yes, I have even written about this little problem that keeps coming up. So, I need to come to terms with whatever it is I’m comfortable with, but at the same time, I shouldn’t just go and call a product a “scam” if I’ve never used it or don’t want to use it for whatever reason. Sorry for the rant – I guess I’m just “venting” because I’m reading blogs from others who are being ..shall we say… less than truthful, and I know why. Once again – thank you for stopping by! And, if you have any questions for me re: Wealthy Affiliate, please feel free to comment on my WA profile page! I’ll be happy to help you any way that I can! The site look s like fox news. Hi Natallia – Thank you for the link (link has been de-activated on this blog for obvious reasons… ). I will look into trying to send it along to both Fox as well as the Trump people. These are the things these people keep doing in order to win people over with their supposed affiliation to Trump. They also keep changing names, and I just can’t keep up… there’s just no way. So, thank you for sharing! I would like to not have to worry about money. Yes, we all want that. But, you have to be careful when buying a product that is promising you the moon. I do not recommend Home Cash Code – Secure Cash At Home – or Pay Days At Home Programs. If you truly want to learn how to become a successful Internet Marketer, I highly suggest you read my Review on Wealthy Affiliate. Enjoy & Good Luck! I have read what you are saying and I was very much afraid when I came across it that it might be a scam. However, in all the names you are mentioning, you never mentioned Home Cash Flow which is the one I was checking into supposedly involving Donald Trump & Sara Taylor. I did speak to a lady from there who seemed very truthful and gave me a lot of good information regarding the program. She gave me a number to reach her directly and I have called a couple of times and even spent about 30 minutes today asking her some critical questions as I have concerns still about the program. She even gave me a customer service direct number if I needed any help in getting set up and didn’t understand something. It uses sites like Offervault to help you decide which items you would like to look into for posting links. I would like your feedback on this. Is it possible that this could be the real link and these others you have mentioned are the scams? This Home Cash Flow comes under the name of Power Sellers Center. Hi DreamGirl – Here is my short response: In my opinion, DO NOT BUY THIS PRODUCT! …Affiliate Network sites such as “Offervault,” ClickBank, Commission Junction, and more are free to those who wish to promote their products as affiliate marketers. I will likely do more research on this “new” name, and if and when I find that their “offer” is extremely familiar and similar to the other named offers, I will update my post with this new name. Name changing is part of the problem – just so you know. It is extremely difficult to keep up with the various names these people are using to entice and deceive people. So, thank you for reporting this new name – I will get back to report either here on this post (above), or will write an update on a new post. Although it is your decision to make in the end, I would definitely NOT RECOMMEND purchasing this product. I would also not be sharing income information with this woman on the phone, providing other detailed information about what it is you or your significant other does for a living, and any other personal information she has gleaned from you during your little chats. This is what they do – so, please be warned. I’ll write more in the coming days, but for now, thank you for stopping by and sharing this new information. I will do more research on this new name that you have provided along with another website that another reader has also recently shared. I’ll get back to you.. and all my readers very soon! I am a retired man and i work yet, how to do work with this program if i want to do to the area hispana, this article i sow in news paper in espanol . If you are asking about the “Home Cash Code” program, I am not selling that, nor am I promoting it. I am writing my opinion about the program and why you should not purchase it. If you are asking about the Wealthy Affiliate program, I would urge you to go to my profile link at Wealthy Affiliate, and then ask the question in the search box at the top. I know there are many people on there who speak different languages, and I am certain someone would be able to answer you there. Using similar names of other legitimate business can and does confuse people, and it easily be done. I can’t say much other than to state that when I Googled “WebProTeam,” I found some info showing that domain was only registered last December 10th. 2015. And, yet, when you go to that site: “WebProTeam.net,” The “About Us” page clearly says they’ve been in business for 10 years. Now, while that “may” be true, this find should raise a red flag and send those who are considering a purchase to find more info on these people. I then went to find their Registrar info, and they have it privatized – meaning, their real identity is being concealed. Now, many people do conceal their contact info simply because they don’t wish to be bombarded with offers, or spam, etc., but, the other reason to conceal, of course, is to deceive and not be readily accessible. Therefore, red flag number 2. If you do go to WebProTeam.net, they do not have prices listed anywhere on the site. If you are interested in any product of service, you have to call a specific number to “see if you’re qualified.” …but, probably more like “How much money do you have…” ..Red Flag number 3. If you have Googled the name, you’ll likely find a Twitter Page: (Removed URL) thewebproteam. Now, I cannot say for sure that these are the same people, but if you look at that page, you’ll find their website along with the information that they are located in the UK. And, upon visiting both of these sites, both the Twitter page and the website are sharing some of the same pics. So, this one may be a legitimate business. I am not sure which of the two you were speaking with, but if the people you spoke to are affiliated with the “.net” domain, there are enough red flags there to be very wary. On the other hand, they may be perfectly legit and offering a web building service. In fact, many people do willingly purchase these services to either save them from learning, or save them from the time, or whatever. But, if you do think you’re being pressured, at any point, or they’ve talked with you long enough to glean information such as your employment situation, how bad things are financially speaking, how it may be tough to make ends meet, and yes, you wish to start a home business… Don’t be fooled into thinking they’re just being a caring person or are really interested in “you.” What they are really interested in is your wallet, credit card, and/or bank account. Sir: I am 82 years old and unfortunately have tried a few of the “:get rich quick” schemes over the years. None of them worked. You sound like you are really trying to be helpful so I am gong to subscribe to your news letter. I still believe there are ways to receive an income from the internet but I also believe it will not just “fall into my lap”, it will take work, consistency and common sense. Thank you for your information. First of all – “you’re welcome!” And, thank you for your comment. Although my mom is 83 and has her own blog, I do the web work for her since she is currently without a computer and not much of a techie anyway… But, yes, she writes. Even though her site is not generating a lot of income right now, it’s still something that keeps her happy. She likes writing opinions and helpful tips to share with other Senior Citizens. As for trying this or that program, that’s really the only way any one of us can gauge whether the program is of any value. And, that’s where “review” sites come in. Some of us who have gone into affiliate and internet marketing full-time offer their reviews in order to help the general public come to some sort of “educated decision” about whether to purchase a product. Unfortunately, now, there is another worry – which I have also written about in this article about Affiliate Marketing. While there are “other” products out there that can help you, or anyone, get started with affiliate marketing, I haven’t come across any one program yet that actually teaches the students all the things they need to know, and explains why they should know it. I am currently evaluating two other products, …and I hope to be writing about them soon. But, what I can tell you, so far, is that I haven’t found one program yet that has met this level of education found here at Wealthy Affiliate. So, if you truly want to learn this stuff, I do urge you to read more of my articles and read some testimonials on the Wealthy Affiliate site. This is – hands down – the best forum and educational site to actually learn – and succeed. How do these fraudsters get through your e-mails on google. They suppose to catch these on my gmail account. They always highlight them and say be careful, it’s scam mail, please delete before opening. I looked the business up on Better Business Bureau, and they say they don’t have any reports or complaints. Well, there are various ways people use to obtain email addresses. Some buy lists, some hire virtual assistants to fool people into providing an email address.. there are many many ways people can obtain email addresses. As for gmail – wasn’t it just last week or so where there was something going on with both gmail and yahoo email accounts and people were being told to change their addresses? I believe so… I remember reading something about hackers found a ‘vulnerability’ and a way to gain access to many people’s accounts. So, even Google and Yahoo can’t always protect people from bogus or scam emails. In any case, it’s always wise to go through your email and delete anything that did get through and is not “ringing any bells.” If I don’t know the person, and especially if I see an attachment, I won’t even open the email. In addition to that, it would be very wise to use both an Anti-Virus Program AND a Malware Program. One of my articles dealt with Malware after I discovered that my old pc was loaded with it, and I had to remove it all. Go here to download Malware Bytes, it’s free and it works! So after reading a lot of the comments on here, I too have been scammed before. When reading up on this, it sounded too good to be true. However, is there a legit work at home business where you can make money at home? I’m not looking to make thousands just hundreds. Thx for this blog and what you are saving people from doing that could really cause quite a problem. Sorry to say, but many, myself included, have been scammed one way or another where you purchase something and it’s not “quite” what you thought you bought. Many many people have had this experience… especially online. But, if you truly want to learn how to work online, actually, that’s a part of the learning process. I wouldn’t know half the stuff I know now if none of that happened, and if I didn’t persist in working through it and trying again and again. …And, with that stated, yes, I have written a few articles about legitimate jobs online. In fact, if you go to my home page, or you can just click the link, you’ll see that I just recently posted “Part-Time Jobs Online” which also has links to some of my previous articles. Feel free to check them out! If you are willing to put in some work, you can and will reap the rewards. It’s only a matter of time. I will like for you to refund my money in the amount of 97.00 dollars and also want your customer service contact number. Harry – you need to contact the people you bought it from. This is my blog site, and you’ve contacted me by accident. So, go back to your account info, and ask them for your refund. Either that, or call your credit card company and reverse the charge. Good Luck! The Home Case Code has nothing to do with Donald Trump. Please read my review and the comments below. This company is using Mr. Trump’s name to try to convince you that he has endorsed it. This company is also using deceitful efforts to make readers think it’s been on the news, etc. This company has not been on television – please read my review more thoroughly as I am not endorsing this product at all. You’re welcome Chester! Thanks for your visit! Donald Trump did not recommend this. The person who made that ad was using him to get people to scam. I know, Kathy! It’s amazing how many people are here reading my article, but somehow missing that info. …I don’t get it. Thanks for your visit! Your article is very informative and I wish I had the sense to look for scam articles 2 weeks ago. But I got sucked into the Cash flow Club with the so-called endorsements from Mr. Trump and all the media. But I was stupid until today. I have not been able to get anywhere on the website and I finally had sense enough to read the refund policy which tells me I won’t get my $77 refunded. They played me and I lost and hope my current income of Social Security carries me through. Thank you again for your personal research that produced this very informative article. Oh my… I’m so sorry to hear… Yes, they are using Trump’s name, and unfortunately many people are falling for it. I’m wondering if you will please put in a complaint using the links at the bottom of that article. If everyone sends in complaints, it may slow them down a bit, or maybe you can get your money back? The only other thing I can think of is if you used a credit card. Call your CC company or bank and tell them you are challenging the charge. Perhaps you can get it reversed, and the company will give up on you. If you do put in a complaint, the truly unfortunate thing they do is they keep changing the name… so, it becomes extremely difficult trying to keep up and find them. But, if you put in a complaint or challenge the charge, I am hoping that you, at the very least, get your money back. Very good, well researched and well written article. Thank you, Bruce. I appreciate your compliments and your visit! I hope you come back from time to time as well! reading it, you could be a great author. I will make certain to bookmark your blog and may come back later on. Thank you for your kind words, and yes, I do hope you come back, visit, even use my links should you need to go shopping anywhere else! 😉 You have a nice morning as well! Thank you, and thanks for your visit! Thanks for the awesome article, are there any good paying, legitimate work from home Jobs? Or, are all of them Scammers? Thanks! You’re welcome! But, please don’t be disillusioned with finding legitimate jobs at home. There are some very good and very legitimate jobs being offered. I have written a few articles on opportunities, so depending on whether you’re actually looking for a job or willing to start your own business, yes, there is a way to do this successfully. And, if you go to the “Category” link on the right, you’ll see that you can also start your own online businesses for free! Good Luck! The best home job I have come across is being a health and wellness couch and distributor with the Knowledge and great products of (Name Removed). It’s about a billion dollar per year and considered to be the best paying Network Marketing Company around. Check out (URL removed) if you are really serious about a homebased biz. Sorry, but not only will I not allow backlinks to MLM sites, I won’t allow the use of my blog to advocate for them either. The site you mention is an MLM site, and that’s not at all what my blog is about, so I have gone and removed references to such. My blog, should you read it, is all about “Building Passive Income and Wealth.” The methods that I advocate are methods that not only provide income from a one-time effort, but an ongoing income from one’s work. It differs greatly from MLM because the one who is building his or her business and doing their own thing is not “using” other people to recruit.. and recruit… and recruit… and building the wealth of those who are higher up in the pyramid – not to mention that they choose their own niche rather than “pushing” the products of that one MLM company. 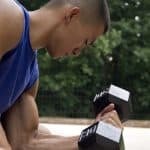 In fact, here’s a really good article from one of the members at Wealthy Affiliate: Are All MLMs a Scam? Although there are some people who are quite happy earning supplemental paychecks from more well-known MLMs, such as Avon and Mary Kay, my intent is to help educate anyone who is after more serious money, and would like to work from home. Although I would like to thank you for your visit, please know that my blog is extremely important to me, and yes, I monitor “everything.” So, before you try to use disingenuous methods to either obtain backlinks and/or try to “educate” one of “my” readers through my comment section to my readers, I do hope you’ve learned a lesson. ..Go build your own blog. Thanks for clearing up this false quick money by Trump and a woman supposed to helping american get rich. Dont everyone want to stay at home and make money that’s the catch they are using. You are right learn to be a company Affiliate is a smart way to go i thought of it now reading your views i will go on and check that out for free to start. Also you maybe able to help me market another business i am looking into. send me your email. Thanks for your input, but I must disagree with one of your statements. First of all, by them using Trump’s name does not mean that he has endorsed this. That’s the problem – they are using his name to gain trust of their targeted (American) consumers while marketing it to Americans who want to learn how to earn money working at home. So, no, Mr. Trump has not endorsed this product, and he already has much to do running for office – never mind chasing people who are using his name to promote their product. Although, I suppose he and his attorneys could send them a nice little “cease and desist” letter if this were brought to his attention, it was really up to the media channel to make sure this was true before publishing it. But, we all know where the media stands since they are legally allowed to be biased in their reporting. As for “everyone” wanting to stay at home and make money, yes, that is who they are targeting. But, hopefully, I have given adequate warning that this is a scam – especially when and if they ask for money upfront. And, lastly, your request to have me help you market another business, I will respectfully decline. I am not currently taking on marketing clients right now. I already have a few, and they need websites, marketing, etc. So, truthfully, I am quite busy at the moment. But, thank you for mentioning the opportunity. It is appreciated. Well, it’s not that you’re a “nitwit,” you’re just new… We all have to start somewhere. Sorry to have learned that you spent money on that product though. If it’s a recent purchase, yes, you can get it reversed on a credit card. Come on back anytime, and if you want to make sure you receive my latest articles, join the e-mail list. An email is sent out once a week to my list with the latest articles. Thank you for your visit and your input, and I hope you get your money back! I paid $ 97 for the workathome.cash and had to call (844) 235-7186, to receive the information on how to start. After three phone calls for which I left voice messages I received a phone call from a Ms Mercury who stated that she would be talking to me to see how motivated I was to start. She made personal questions on my credit cards ( how many I had of limit and how much I owed on each one, how much I make/month how much I have in my savings/check accounts) and stupidly I answered to all this thinking that they wanted to see how serious I was to make the job. She promised me that a Alexander, director will call me Wednesday 03/23 at 5 pm for a 2 hour interview. I feel so stupid now and am afraid they can do something with the information I gave. The worst of all is that Bank of America sent me an email asking if the 97 was a fraudulent transaction and I authorized them to pay. What do I do now? Well, if I were you, I’d call BOA back again and tell them that you wish to reverse the charge. Tell them that this company has not fulfilled it’s part of the transaction, and you will be reversing it. They should not really give you a problem. At the time you “authorized” the initial charge, you were hoping they would honor the agreement. You had no way of knowing otherwise, at that time. Now, however, you do. And, if you’re within a 30 day timeframe, I believe it’s within your right to do so. Each state also has consumer protection laws, and you could also get in touch with your state’s consumer protection agency as well to notify them of what’s going on. As for the information you provided – Did they ask for date of birth or driver’s license number / social security number info? If yes, then yes, you have made a very serious mistake. If you did, please look into placing some sort of warning on the ability to obtain credit under your name asap. Call the three major credit reporting agencies: Experian, TransUnion, and Equifax. Tell them you are not applying for credit, and request a flag, or whatever is their warning system, to be placed onto your accounts asap. I am so sorry this happened to you. This stuff is really infuriating… Please read my other article about “10 Red Flag Ways to Avoid Scams.” There, at the bottom of that article, you will also see the link to the FBI and how to report scams, etc. I wish you Good Luck! And, I hope you stop anything more from happening. Please let me know if there’s anything else I can do. I was saved by my savvy bank. They refused to pay out this money. Thank You South Central Bank. Wow, really? 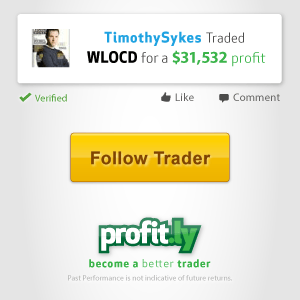 I never heard of a bank putting on the brakes… lol… I guess you got pretty lucky! I’m happy for you that you were not ripped off. If there’s anything I can do for you, please let me know. And, thank you for your visit! Thank you for taking the time to uncover yet another scammer and why did CNN and a Presidential candidate endorse rackateers. I could expect it from Trump. Hi Virginia, I am not certain why there are media channels publishing articles and using Trump’s name, but they are incorrect. In fact, the whole article is incorrect. It is written to make readers believe that both media and Trump are endorsing it. Please take the time to read the entire blog post that I wrote. I have explained that this product is using misleading and deceptive means to convince readers that their product is legitimate. And, while it may teach people to spam social media, etc., it’s not the right way to go to build a long-lasting business online. I recommend Wealthy Affiliate wholeheartedly, and you can give it a try for free. I had you checked out. You have quite a little interesting scam going yourself. How much are you making per Reply? First of all, I have no idea what you mean by “checking me out.” Secondly, and perhaps more importantly, I take offense to your accusation that I have a “scam” going on. Then, thirdly, you ask how much I am “making per reply.” Do you even know what you’re talking about? Although each and every blog owner can delete a post, especially one that is so cynical, suspicious, and accusational, I found it more intriguing to respond. So, here I am, and here’s my response: You can check me out all you want. I have my personal beliefs and opinions. I make no apology for expressing my views. I am offering “advice, discussion, tips, and strategies” on my blog. If you don’t like my opinions, etc., please feel free to leave at any moment. There is nothing here that’s keeping you against your will. Then you ask how much I make per reply. Huh? A reply to what? Do you mean the comments, such as yours, and the reply I am now supplying? Wow, do you know of an affiliate site that pays for each reply? If so, that would be news to me. But, seeing that there’s no such thing, you really don’t know what you’re talking about. I am an internet and affiliate marketer, and I offer my opinions. It is plainly stated on my blog, and, again, if you don’t like whatever is shared on this blog or on any other sites owned by my company, you have every right to cease using, visiting, reading, or commenting on my sites. In fact, please do. 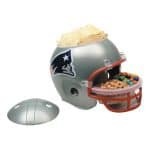 I’ve just been had I paid $24.00 for this item advertised on CNN. Can’t get in touch with anybody and can’t get a refund. I am so sorry to hear.. But, there is a bit of good news! Although it’s not something you wanted to hear, the good news is that $24.00 is a lot lower than what others have paid! So, at least you didn’t lose $47, or $77, or $97. But, even at $24.00, you can put in a call right away to your credit card company and dispute the charge. Yes, you can do that if it was recent. Also, if you are so inclined, you can fill out a complaint form with either the Better Business Bureau or use the links I have on my page: 10 Red Flag Ways & Tips to Avoid Scams. You may also file a complaint with the FBI Complaint Center. Once again, sorry to hear about being deceived. You and others like you are the reason many of us are working to provide some sort of warning to others. I wish you better luck in the future. Well, I cannot recommend any other host provider other than the one I’m using for my blog. My host provider is Wealthy Affiliate – which is an educational site for bloggers. The hosting for all my sites are included in my membership – which is a very fair price if you were to price hosting separately. Feel free to check them out, and thanks for your visit! Knew right away it was a scam, from being the victim of fraud. I’ll be interested in your articles on building a website, Amazon and Wealthy Affiliate – but yes to echo another commenter, it is very good to see these sites being exposed. All con artists should be so exposed and held very much ACCOUNTABLE. Taking hard-earned money from innocent people and their children is atrocious. I read the article you shared. Sorry to read that you were also conned… But, yes, the good thing is that many of us are working to expose these sites that are scamming others. So, I appreciate your visit and your input. If you have any products or other sites that you’d like to share or that you question whether the products are valid, please do share. I will be writing more reviews and will keep building on that theme as well as others. Once again, thank you for your visit, and I look forward to hearing from you in the future! Hi Geoff, The IBC strategy is one that I could have only wished for way back when. Depending on the policy, it “usually” begins to self-fund in about 3 or 4 years – meaning, the dividends are usually enough to be able to take over the premium payments if, for whatever reason, it were necessary. Of course, that would be a last resort if money got tight. When I was learning about this method, I met a young man who had recently graduated and was offered a “very” well-paying job. I talked with him prior to his meeting with his agents (not me). I later found out that he not only went with it, he went with it BIG TIME! He had asked his dad if he could live at home for five years so he could fund it. His dad agreed. He bought a policy worth quite a bit of money, and with his new high paying job and no expenses, he didn’t have any trouble funding it. He wasn’t married, or even going with anyone at the time, but the agent partners and I all knew, this kid is going to be a millionaire in no time. I’m more than sure he met his goal, and even if he did meet someone and got married, the policy was probably self-funding by then anyway! Now, that’s a smart kid! If you do want to look into IBC again, I have many contacts of Certified Practitioners in IBC across the nation. Let me know if you need anyone in your state. Thanks again for your visit! Yes, that was my point. They were only using Mr. Trump to justify their product. Of course he didn’t support it, he probably never even heard of it – much less openly support it! But, to have them use his name because he’s the front runner just shows how these people work – which actually supported my review of them. They’re pretty disgusting, and to take advantage of people who are really trying to learn about home opportunities just makes me angry. Many of these people are barely scraping by, but there’s nothing we can do other than work to expose them. So, if you, or anyone has any other product they’d like me to review, please send it along! Thanks for your visit and your input! I Just made a comment few minutes ago. did you just past me up. Hello again, I’m not sure what you mean by “paste me up.” But, yes, I have responded to your inquiry. Thank you for your inquiry and your visit! Hi my name is Barbara i would like to know if this is the site that Ms Sara Taylor Home Cash Code System Now! and that Donald Trump is speaking about. The name “Sara Taylor” is being used as a genuine person, yes. The article also suggested that Mr. Trump was also endorsing this system. One of the articles has since been taken down. I am not sure whether the other article will be taken down as well. These articles are being published without confirming sources and whether the information is absolutely “correct.” That’s why I wrote my review. In my article, I also point out the many different names this “product” is going by, but yes, the “Home Cash System” is one of them. It is my opinion that the articles being written are totally deceptive, and again, that is why I wrote my review. I hope to provide a warning for those who are seeking work at home opportunities to “read between the lines.” They are talking about affiliate marketing, and no, you won’t be automatically paid $15.00 for each link. It is deceitful, and people should know. i have been scammed before. I am out of work. How do you make money legitimately. I have very little to start with and do need to make 4-8 thousand per month. Also, thank you for stopping by. If you do have a chance to respond again, I’d like to know how you came across my article. If you look over the Categories on the right on my blog, you’ll see the entire Wealthy Affiliate Journal in its own Category and linking all ten articles about my journey (and setbacks). In short, there is no “get rich quick” method. However, with that stated, there are people who really are earning anywhere from hundreds per month, to literally thousands – five figure thousands – a month. I have heard of some affiliate marketers earning even more than that, but they’ve been at it for at least 10 years or more by now. For me, I’ll get there when I get there. As mentioned, I’ve had quite a few set-backs health-wise, but now, I’m focusing more than ever on my online efforts. I have read many success stories, and there are many members in WA who are, and continue to be, quite successful. It’s just a matter of applying the knowledge, and having enough patience to make it work. As mentioned, please review at your leisure. If you have any questions, please feel free to ask. I look forward to helping you out any way that I can. First of all, thank you for stopping by. If you have a chance to respond again, I’d like to know how you came across my article. I really like how you track down all the websites, home cash code, secure cash at home, pay days at home, etc. Its very typical and it is exactly what makes it difficult to believe that Wealthy affiliate is such a good deal. Its why I spent 2 months in the free status before going premium.. I wanted to be sure.. Glad I am and did! Hi Vic! Yes, I do sometimes get lost in my research, and sometimes I find little nuances or little facts that keep me digging… lol.. As for WA, yes, I am very happy with my decision to become an annual member. This way, I can keep up with anything “new,” keep learning things, chat, teach, and host all my sites, even my static sites! Technology changes daily, and just the other day, there was new info out which updated even some old training here on WA. Had I not been a member, I wouldn’t have known. I am very happy with Wealthy Affiliate, and I’m happy to know that you are too! Sounds like yet another scammer using clickbank for a hoped for quick buck. I think every resource on clickbank starts at $97…then decreases as the intended victim tries to beat a hasty retreat…. Glad to see these sites being exposed and held accountable. Hi Jason – Yes! It was on Clickbank, but now, I can’t find it under its new name. Clickbank may have even deleted it, I’m not sure. Unfortunately, these types of sites keep changing their name and use many domains. So, hopefully, buyers will become more educated by doing more research and reading more reviews. All we can do is try… Thanks for your input, and your visit!